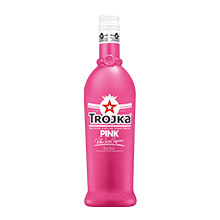 Trojka, The Star of Colours, is a trend spirit with a striking colour concept from DIWISA. The distillery known as DIWISA (Distillerie Willisau SA) is one of the most modern distilleries in Europe and market leader in Switzerland. The family enterprise combines traditional craftsmanship, innovative strength and high-tech in an ideal way. The award as “Distiller of the Year 2013/2014” underscores the outstanding quality of products from Willisau. Distilling schnapps is an almost one hundred-year-old family tradition in Willisau that started in 1918 with young Hans Affentranger. As a 20-year-old he established a sole proprietorship for production of spirits, liqueur and syrup. This was the cornerstone for today’s DIWISA. In addition to traditional products such as fruit spirits, fine brandies, sparkling wines and specialities, the product range includes many innovative products and modern brands. This undoubtedly includes Trojka, the vodka-based liqueur featuring a striking colour concept, “The Star of Colours”, which is ranked number one in Switzerland today. 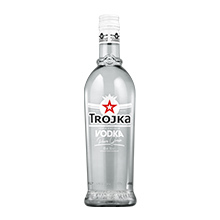 Trojka is triple distilled from high-quality grain, reduced with the best water, filtered twelvefold and finally enhanced with various flavours. In the meantime, Trojka is available in twelve different varieties. Others are increasing being added, and therefore Trojka reflects the spirit of the times. 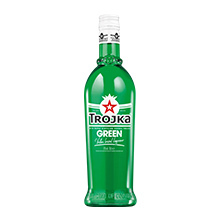 Trojka is ideal for any party, perfect as a shot or for mixing long drinks and cocktails, and also a real eye-catcher!